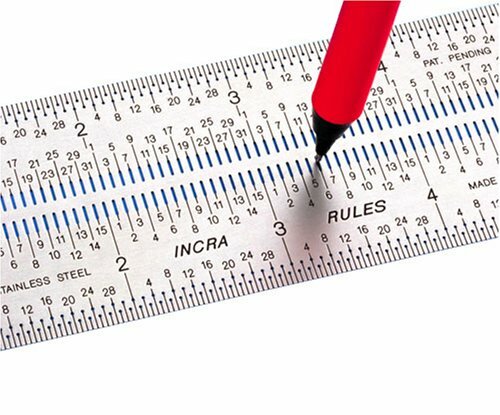 This precision 12″ 300 mm metric SAE rigid ruler is made in the USA by Products Engineering Company (PEC Tools), a premier tool manufacturer. 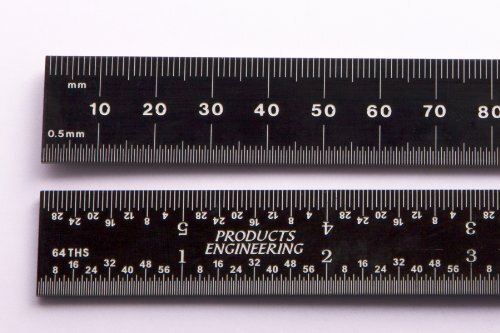 Rule is made from spring tempered and hardened steel and is 1. 00″ wide by . 036″ thick. It has a “zero-glare” black chrome finish that provides better rust resistance than polished steel and can be easily read in both low and bright light conditions. 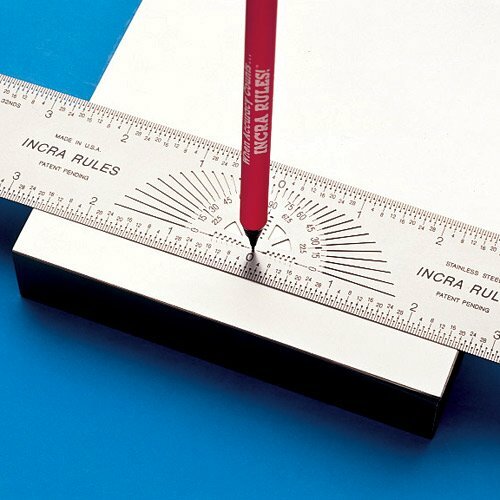 The sides of each rule are ground parallel and each end is accurately ground square to allow reading from either end. English /metric graduations have . 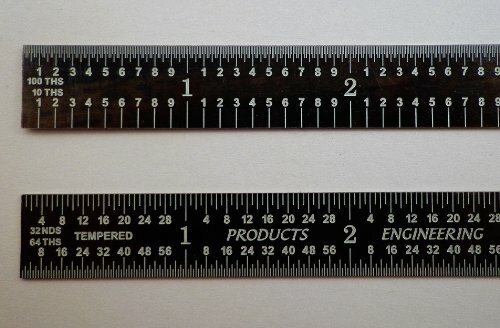 5mm and mm on one side and quick-reading 1/32″ and 1/64″ on the other. 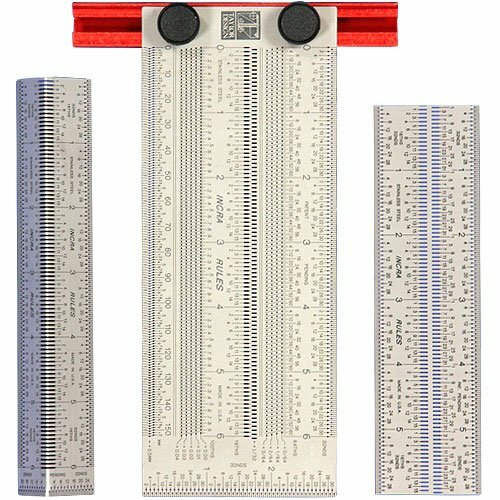 Graduations are precision photo etched and then white filled for easy readability.